Mary A. 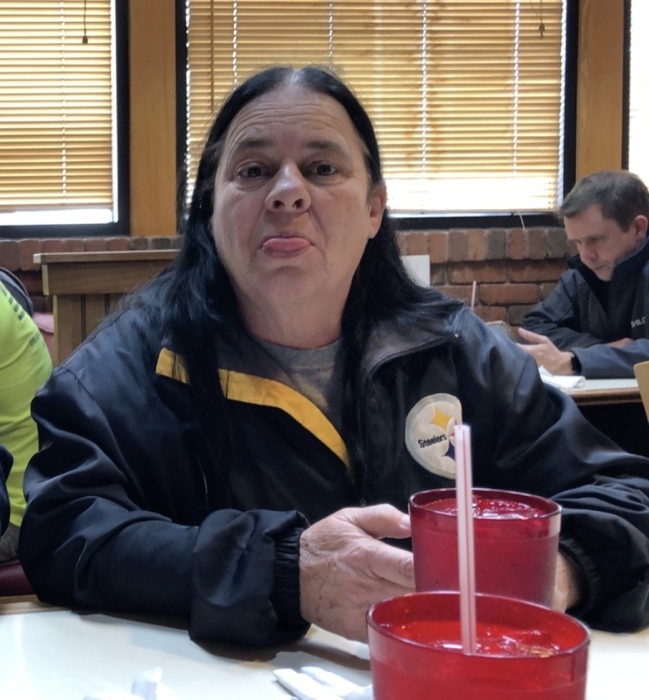 Peak, 55, (nee Teets) passed away on Monday, November 19, 2018 at University Hospital-Samaritan Medical Center in Ashland, unexpectedly. Mary was born in Amherst on March 3, 1963, the daughter of the late Charles D Teets and Margaret A (nee Spiker) Teets of McClellandtown, PA.
She was the retired manager at McDonald's in Wellington, serving for more than 10 years and she also had worked at Arby's in Ashland, and the Kentucky Fried Chicken in Lorain. Mary was an avid Pittsburgh Steeler's Fan, loved being with her grandchildren and her family and playing cards. Mary is survived by her husband of 41 years Joe N. Peak, daughters Melissa A Merry, Nicole M Peak, sons Joseph C Peak, Timothy T Peak, all of Sullivan, grandchildren, Jessica N. Peak, Joseph C. Peak Jr, Tyler X. Merry, Summer M. Merry, Jacob N. Peak, sisters, Debra S. (David) Skiles of McClellandtown, PA, Rose M. White of Lorain; Diane L. (George) Huey of McClellandtown, PA, Eleanor J. (John) Paroda of Horry, SC. and a brother George E Teets, of McClellandtown, PA. In addition to her father, she was preceded in death by a brother Charles " JR" D. Teets, Jr.
Friends may call on Monday November 26, 2018 at The Schwartz, Spence, Boyer and Cool Home for Funerals, 1124 W. 5th Street, Lorain from 4:00 PM until services at 7:00 PM.